It’s a cool and rainy Sunday, and I’m just chilling out at home. The evening will be more exciting, as I’ll be watching the World Cup finale at a friend’s place. 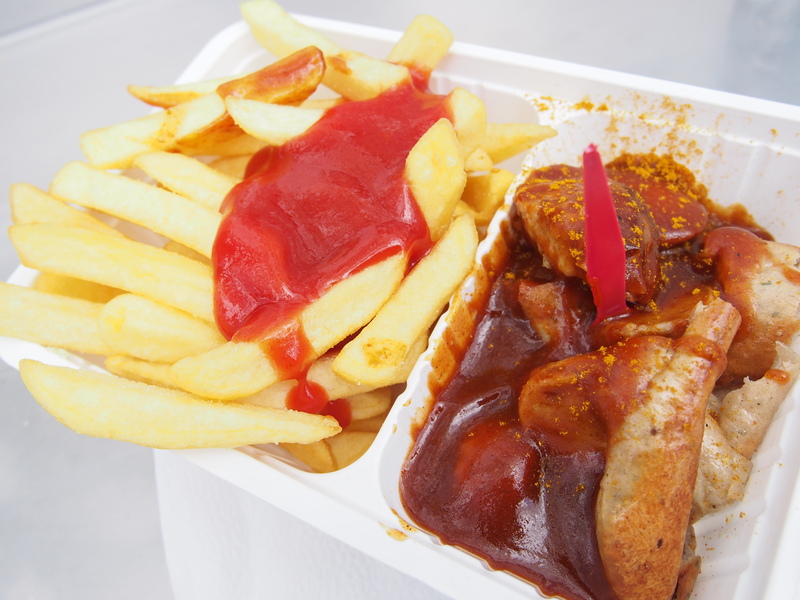 In the meantime, I’ll be daydreaming about fattening food like this currywurst I tried in Cologne. This entry was posted in Cologne, Europe, Germany and tagged Cologne, Europe, food, Germany. Bookmark the permalink. That is definitely daydream worthy. absolutely, and add a bottle of cold Coke or beer!